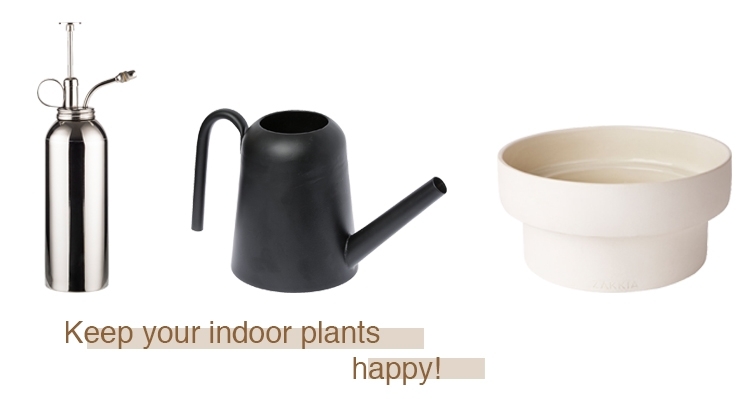 If you love indoor plants, wood paneling and pampas grass in interiors right now, then guess what? You’re in the midst of a seventies revival! There is something about a sofa so low that the whole lounge is sunken, that makes you want to relax hard. Ok, so I know what you’re thinking, that the 1970s is known as the ‘decade that style forget’ and yes, there were some ‘fun’ ideas going on. 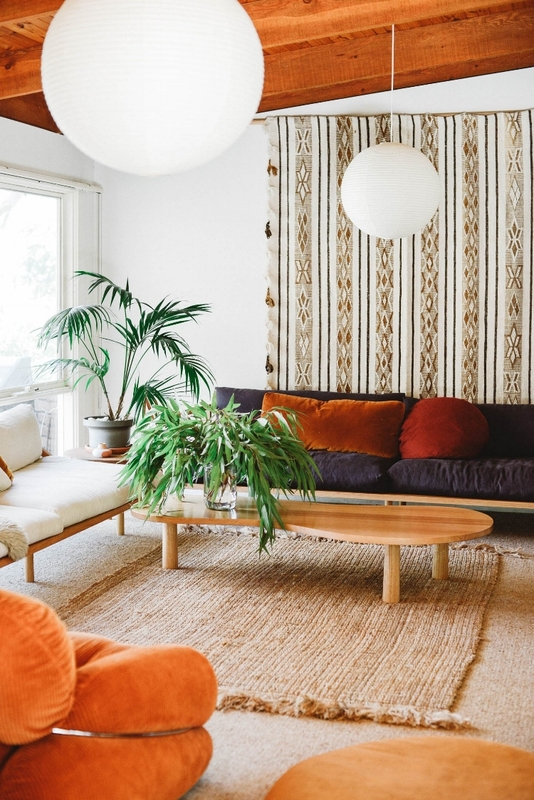 After years of pared-back discipline with a focus on function in the mid-century design movement, the Seventies was a decade of excess and just seems fun! Self-expression in interiors came in the form of colours, patterns, reflective surfaces and of course shag pile, and all at once in most cases! This time around, I think it's best to just select a few key elements from the Seventies to bring in that chilled-out vibe. 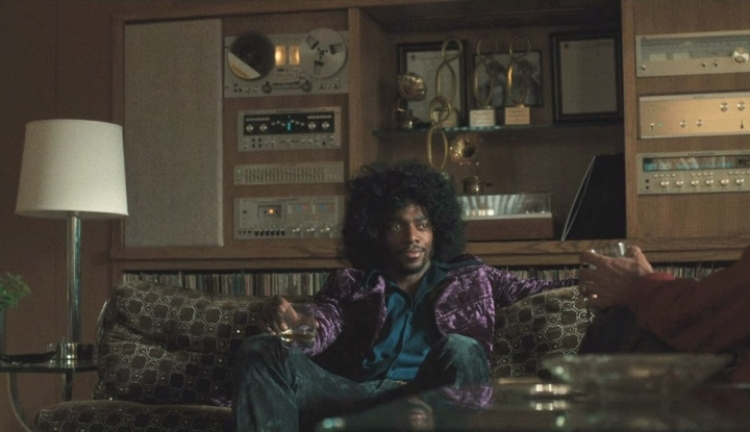 The Seventies is a decade that we know through shows like HBO's Vinyl (created by Mick Jagger and Martin Scorese) where the Seventies never looked so cool, or as daggy as Welcome Back Kotter and Mork & Mindy. Have you watched the fabulous HBO series Vinyl? The sets are so authentic and earned the designer Bill Groom an Emmy Award. The early ’70s was just a few years from the Woodstock Festival, and it was interesting to go back and look at how it evolved. It wasn’t a pretty period. It was messy. My agent called me after she saw a few episodes, and she thought it was kind of amazing. She said that it was true to those velvet sewers, as she called them [laughs]. It was a very ragged period. Bill Groom talks about the set on Vinyl, read the insightful article here. As I see it, there were two movements going on, the bright pop colours and also a natural ‘hippie’ trend. Let’s dive right in, shall we? After the psychedelic ‘flower power’ of the 60s, the 70s saw the love of nature continue and translated to interiors. Right now, we’re loving bringing these natural materials back into the home again. The overall effect of using natural materials in the 70s was textural with tones of cream, beige, tan and brown. These warm colours are having a huge comeback, after years of the cooler greys we’ve seen in interiors. Rattan, cane and bamboo are materials that were used in abundance in the 70s for chairs, plant stands, coffee tables and of course there was the peacock chair. Today the love affair with these natural fibers has had resurgence, but used in a more restrained and elegant way. Timber wall paneling was so popular in the 70s and even the family station wagon got the wood panel treatment. The appeal of timber is eternal, thankfully not cars anymore but rather used in a more refined look. After years of plastering over exposed brick walls, we’re now seeing some beautiful brick wall in houses again. This time, the bricks are not as dark and chunky instead they are refined and appear softer. One of my favourite features of 70s living, are the fabulous floor plans. Open plan living really took off in the mainstream and was a big step away from a house made up of separate rooms off a hallway. Residential architecture in the 70s featured large windows, split levels, a great flow, rumpus rooms and of course the sunken lounge. The whole family could gather ‘round on the sunken lounge or lie on the orange shag pile and spin The Carpenters on the pioneer. Incredible house by Junctions90 (Dina Malathounis) that is a completely contemporary interpertation of the 70s sunken lounge. They really knew how to relax in the 70s and the low, chunky sculptural furniture facilitated some serious lounging. 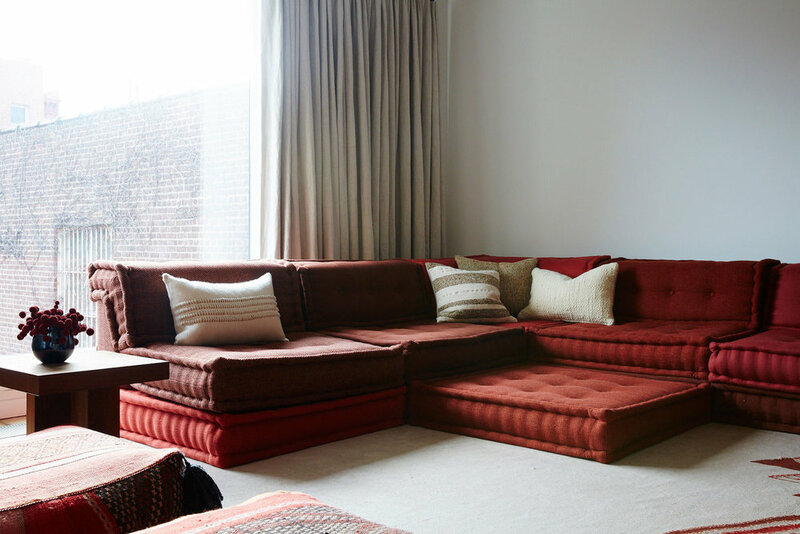 There has been a resurgence of sofas that were designed in the 70s such as the Togo, DS600 and Sesann Lounge, which don’t have legs rather they sit low to the floor. Furniture is soft, marshmallowy, curved and all about comfort, it wasn't not too serious. A compact apartment in Sydney by designer Olivia Bossy shows that the 70s style is not limited by size! Those beige tones and textures are far from being bland in this clever apartment. Photo by Tom Ross. Hanging textiles on the wall was hugely popular in the 70s. We’re seeing the popularity of modern macramé continue and evolve for todays homes. If you have been living under a rock for the past few years (pardon the pun), I’m here to tell you that terrazzo is BIG! It’s not just for floors and bathrooms, its also used for furniture. The terrazzo Jay Coffee Table by Sarah Ellison. Interior design was an exciting time in the 70s. There was A LOT of pattern and colour all at once. It was layered, colourful and free! And probably a little over the top, but hey, if bright red laminate benchtops were good enough for the Brady Bunch, then they were good enough for us! The Peninsula House by SJB is a bold reimagining of the original home. The colour selection and ‘Tufty Time’ sofa pay homage to the 70s whilst being completely contemporary. The 70s was a decade where wallpaper was used with enthusiasm and in abundance. Every room was covered in a patterned wallpaper, and every room had a different pattern, which was sometimes combined with a patterned curtain fabric and patterned carpet. It’s thanks to the 70s that we are very frightened of wallpaper, and we should be. Some of the patterns used were just horrific. However, PLEASE don’t disregard wallpaper as there are so many stunning patterns available now and they add so much personality to a space. As well the kinds of parties where you’d throw your keys in a bowl, the 70s are known for built-in-bars in the home. Why did this trend ever die? What a fabulous idea to have a fully-stocked bar in your lounge room to get the party started. Flack Studio have incorporated glamorous bars in their interiors, I’ll drink to that! The 'Colour Blocking' Malvern House by Flack Studio references all of the best bits of Seventies design. Bravo! This has got me thinking about why we find the Seventies so appealing? Do we feel nostalgic for a time when we were young (or our parents were young), without social media, without the internet? Instead of playing on the ipad, and scheduled activities, kids played with things like yo-yos and matches. Before the endless choice of music on demand from Spotify and back to a time when we saved our money to buy a record that we listened to on repeat and really LOVED. And when speakers were seriously huge. It just seems 'groovy'.